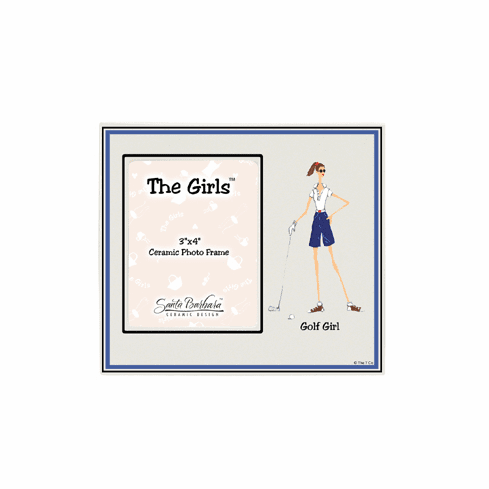 Golf Girl ceramic picture frame from the Melissa Gitelman The Girls Collection. A Santa Barbara Ceramics item, the girls collection photo frame measures 6 5/8" x 5 3/4" and holds a 3 x 4" photo. Melissa Gittelman frame is elegantly packaged in a window-front gift box.